Generating PDFs in AgriDigital is as simple as ever with the 'Generate PDF' icon found in the top right of your details screens (shown below). Follow the steps outlined below for details on how to download a PDF version of your Contract, Delivery or Invoice for MAC or Microsoft users. 3. This will produce a pop-up of your print settings. Ensure the 'Destination' is Save as PDF. 4. If it is not then click 'change' button under the Destination tab and update to the Save as PDF option. 4. 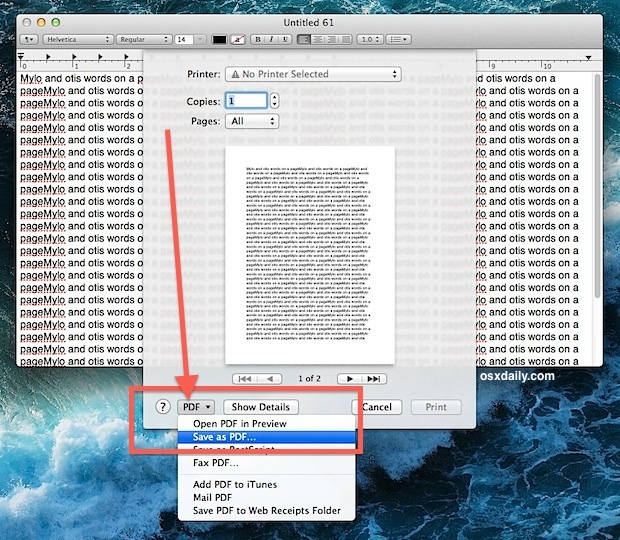 Select the option 'Save as PDF..' to save to your computer.